Movie theaters don’t just run trailers for upcoming movies anymore. 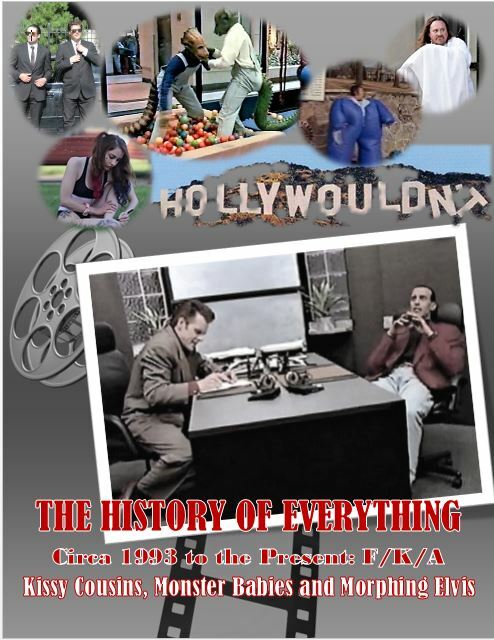 Commercials and previews for television programs also have become the norm. So when we recently were settling in to see Deadpool, we caught the promo (where have I been?) for Stephen King and J.J. Abrams’ epic thriller, 11.22.63. In the under two-minute teaser I already was hooked. The series, which premiered on Hulu February 15, 2016 looked just up our family’s alley – and despite not having much time for TV, we were going to make time for this one. Now my husband was all over this from the start. 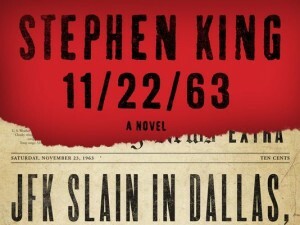 Stephen King is one of his favorite authors and his book 11/22/63 also is one of his favorite reads of all time. What wasn’t there to love? 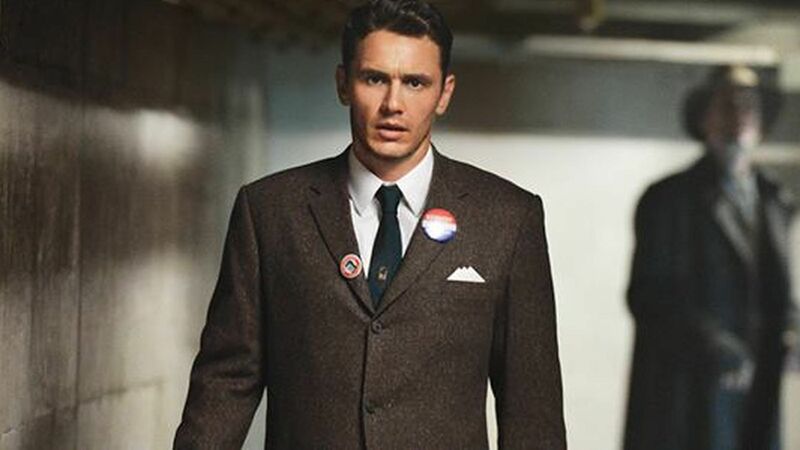 Time travel, the Kennedy assassination conspiracy, fabulous cars, fabulous fashion (in an era when people wore snappy suits and lady-like dresses), tasty apple pies (too bad we couldn’t try any, as they are purportedly much more flavorful when you bounce back to the ‘60s), and James Franco. Let me first start off saying I am a huge fan of James Franco. I love that he takes chances; I love that he thinks out of the box and takes roles which are diverse, colorful, sometimes off-beat, and definitely show his range. Probably my most favorite of all of his performances to date was when I was fortunate to have caught National Theater Live’s broadcast of Of Mice and Men, with Franco and Chris O’Dowd. His performance was spot-on, powerful, and completely authentic. 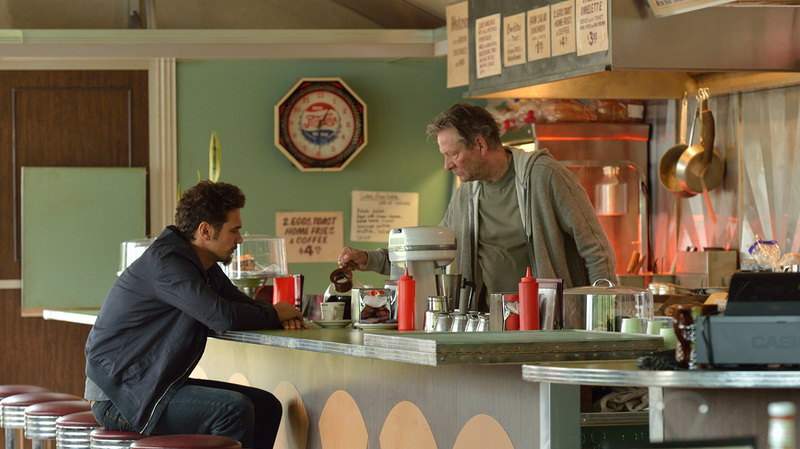 In 11.22.63 we are introduced to Franco as Jake Epping, a dedicated English teacher from Lisbon Falls, Maine who is goaded into time travel by his friend and local diner owner, Al Templeton (Chris Cooper). Cooper has been shuffling into his diner’s storage closet to travel back to October 21, 1960 in an effort to both compile information and to stay long enough to prevent the assassination of John F. Kennedy. Each time he goes back, it is the same date and time, as the clock resets. When during his most recent visit through the portal he is diagnosed with cancer (there’s a glitch, time marches on when one travels back – to the only two moments of time lost in the present) he returns older, haggard, and very ill. He is compelled to pass the torch; one Jake begrudgingly accepts at first. But Jake has little to lose; he’s already on the verge of finalizing his divorce and he isn’t happy about that at all. It is a fantastic premise, rife with past-to-the-present flubs and faux pas, including the T-shirt Jake tries to hide once arriving in 1960 as well as immediately having to address his unshaven face and 2016 hairstyle so that he doesn’t stick out like a sore thumb. Jake must learn to navigate the era, be inconspicuous, and get the job done through the use of Al’s copious research and notes. He also has to know when not to mess with the past or be faced with dire consequences – because the past is resistant to change and fights back like a bat out of hell. With only minor reported changes from the book, this adaptation, which originally was earmarked for the silver screen, will be shown over eight gripping episodes, similar to the format of HBO’s True Detective. Franco is perfectly cast as is Cooper – they embody each their respective characters, and are the main focus of episode one. Franco is the everyman who might just change the entire course of history and relieve us of all the resulting post-assassination, social and political ills. Cooper is the crusty-but-soft-inside mastermind. We are introduced to a smattering of other characters but their importance to the story remains to be seen. King provides his quintessential gritty, riveting, edge-of-your-seat dramatic thrills. The blast back to the 1960s is done with incredible realism – kudos to top-notch production designers. And as a bonus for King fans, there are purported to be countless “Easter Eggs” as homage to many of his other works. I caught one from Misery and understand one to Christine will be important; another to look for is REDRUM from The Shining. There are only a handful of books that I have read that have had a lasting impact on me. That’s not to say that they were the greatest books I have ever read, but they are the ones I can still remember passages, characters, themes, etc. as if I had read them yesterday. They are the Godfather by Mario Puzo, One Flew Over the Cuckoo’s Nest by Ken Kesey, A Tale of Two Cities by Charles Dickens, The Other and Harvest Home both by Tom Tryon, and 11/22/63 by Stephen King. With respect to the latter, it helped that King is one of my favorite writers; it had time travel (another pet fave of mine); and finally it was about the Kennedy assassination (I have read just about every conspiracy non-fiction book on topic and I am convinced that Oswald did not act alone). So while I did not agree with all of King’s theories and conjecture about the assassination, I thoroughly enjoyed the novel. In fact, I couldn’t put it down. 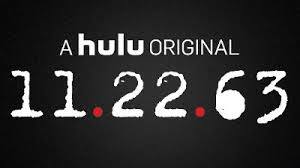 I was thrilled to hear that Hulu made a mini-series out of the book, slightly retitled as 11.22.63. I also was trepidatious. There is just something about King’s novels that does not always translate well to the big screen (The Shining, Misery, Carrie – the original with John Travolta, The Shawshank Redemption, and The Green Mile being some of the exceptions). Seeing the first episode, I remain thrilled and cautious. James Franco is the perfect choice for time traveler Jake Epping. 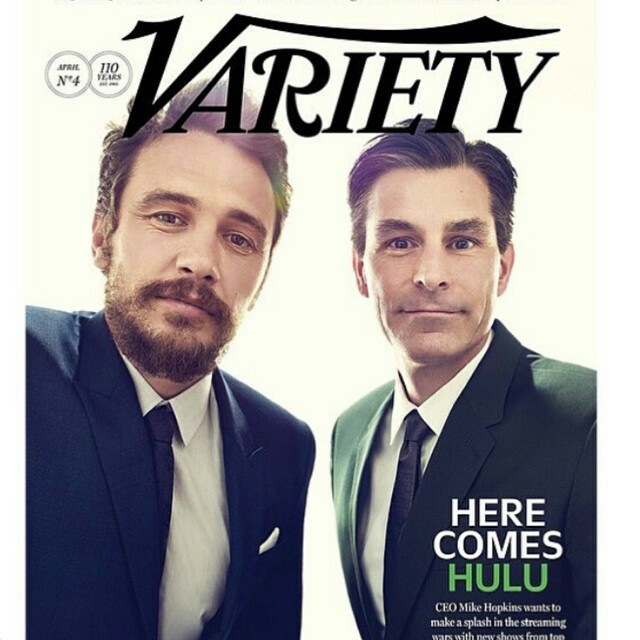 Franco is clearly one of those actors who likes to take risks and stretches himself whether it’s appearing on a soap opera (General Hospital), portraying a rotten-toothed, skeevy lunatic in Spring Breakers, critically acclaimed acting roles in James Dean, Of Mice and Men, 127 Hours, etc. 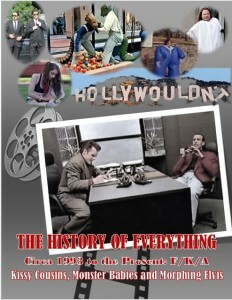 (He even tried his hand at hosting the Oscars – don’t do it again, Jim; once is enough). Chris Cooper is great as Al, the diner proprietor with a portal to 1960 and an obsession to stop Lee Harvey Oswald from killing Kennedy. Before Al kicks the bucket from cancer, he reveals to Jake, the recently divorced, seemingly unattached English teacher, the secret of the time portal and transmits his obsession to stop the Kennedy assassination to young Jake. The first episode wastes no time in introducing Jake to the past and the basic rules of the game (more rules will follow). But the basic ones are that you can go back and stay as long as you like. When you return, only two minutes has passed. You can change the past, but time will push back – it doesn’t want to be changed. If you return to the present and then go back, any changes made will be erased. Of course, the man with the yellow card in his hat is more than just a hobo. Groundhog Day meets The Philadelphia Experiment meets Hot Tub Time Machine in a complex, convoluted journey into the past. 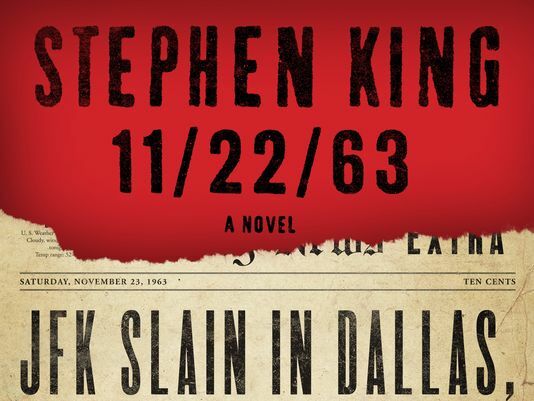 Only time will tell if the cinematic treatment of 11/22/63 will live up to the thousand-page novel. It started out promising – although I was a bit disappointed when it started to veer into uncharted territory (oh no, please don’t let this be another Kingdom Hospital).